I still feel like a teenager in this line of work sometimes. There is so much yet to learn. No matter how great I may become, constant improvement is the goal, and sense of humble gratitude and love for my audience is ever present. I'm grateful for the success I have enjoyed and the lessons learned. It is taking a lot of hard work to live up to my own ideals, but I am determined to do just that, and prove worthy of my talents. Over 30 years ago, when I went pro in this business , I must admit, my only goal was to make a living working full-time as a musician. My goals have expanded and my commitment to making a positive contribution and serving my muse only gets stronger every day. To me, that means networking with other positive people, learning what I can and working daily on my own self-improvement. In my 25 years as a performer and businessman in Japan I have built a solid reputation for honesty, integrity and reliability. My schedule here usually ran 6-7 days a week, but lately I've been taking more days off, in order to put health and family first, and hone new skills….to keep growing and carrying the ethic of personal responsibility, and drive for perfection into every endeavor. 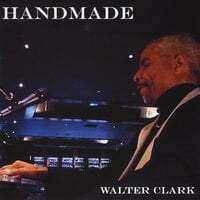 ........Walter Clark, Founder of Clark Enterprises. My interest in CD recording took off around the turn if the 21st century when it became possible to record a CD without going to a major studio. The results appear below. Most recent release of Handmade - Live CD. A collection of songs recorded live, mostly favorite requests from customers at the time of the performances. Recorded using only handheld recorders. No overdubs. Songs of Billy Joel, Nat King Cole, Sting, Carpenters, Tom Jones, and others. Less than 50 hard copies remain. This CD will not be rereleased after it sells out. In July 2006, using the most basic tools we completed a recording of the most requested and loved songs here in Japan. The result was a CD entitled Many Splendid Things, a jazz effort, and features many standards with surprisingly original arrangements. This sold out album was re-mastered, re-pressed and re-released in October 2011. At the end of 2012, the remastered version sold out, and an improved version was released in 2013. The hard copy of 2013 version is only available through CDBaby. In 2016 the above version also sold out and a new version, "The 10th Anniversary Edition," was released which is a further improved and remastered version and although it is on sale in Japan it has not yet been released anywhere else. The phenomenal interest and love for this CD has expanded to create new opportunities for recording and performances in various cities in Japan, and inspired me to continue producing better and more interesting music, as well as study of recording and mixing techniques and equipment. The result of some of this study was the 2011 first release of, Best Thing to Come, an album which took over three years to produce, but almost never saw the light of day. Blending elements of lounge, new age, ethnic, jazz, rock, and spiritual minded music. It features new songs and new arrangements of earlier original songs. Intimate and laid back, smooth vocals with thoughtful and uplifting lyrics. Also remastered in 2012, as it nears a second sellout it is being remixed to a final version for release in 2016. The First version is available at all leading distributers, but the cheapest price can be found at CD Baby who we love! This CD is also sold out and is in the process of being remixed for a final release in 2016. Over an hour long it includes several original songs as well as re-recordings of the most popular songs from the first CD, Perfect Love, including the title cut. Released at the end of 2016. Not yet available on the web, but through direct sales only. Have somewhat changed my business model and am mainly targeting those who would like CDs. Things like downloads and streaming are not my priority as the revenue is sparse especially compared to the amount of energy, time and money that has to be spent trying to promote ones self to people who don't know you. So the new edition of Best Thing to Come is available and is selling briskly as a PHYSICAL PRODUCT here. Like the 10th Anniversary Edition of Many Splendid Things it will eventually be available on the web, but putting it there is not a priority. For more information please also feel free to visit the Facebook Page for Best Thing to Come. Re released in April, this latest version was reprocessed using a variety of analog and digital equipment with an ear towards noise reduction and more tonal balance. There's a marked improvement in the sound over all previous versions, especially in the first and last few songs. Not yet released internationally. Still trying to find a way to avoid confusion, having two products on sale with the same title which would mean two sets of lists of the same song. Also, after going to press, discovered some new processes that would even further enhance the next release, so I may just let this press sell out and release a final press that will be the be-all end all of this highly successful album. But the main thing was to keep this CD available to the public. Now working on the remix and remastering of Best Thing to Come which also is currently sold out. This will be a much more complicated process because with Many Splendid Things, all I had available was the first copy of the CD. In the case of Best Thing to Come I have all of the original tracks and can rearrange them, enhance or delete them at my discretion. Expecting to finish the process by late July.